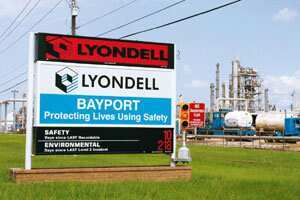 New York: Creditors of bankrupt Lyondell Chemical Co. asked a US judge on Wednesday to expand an investigation by a court-appointed examiner to ensure the petrochemicals firm is fairly evaluating proposals from potential suitors. Lyondell’s official committee of unsecured creditors said the examiner should ensure that potential bidders such as Reliance Industries Ltd (RIL) have a chance to compete against a reorganization plan offered by a group of the company’s senior creditors, which includes current owner Access Industries and private investment firms Ares Management and Apollo Management Lp. RIL has offered up to $12 billion (Rs56,160 crore) to acquire Lyondell, according to people familiar with the matter. Lyondell’s unsecured creditors said in court papers they believe RI’s offer is superior to the one proposed by Access, Ares and Apollo. In the court document, the creditors said the senior lenders, Access, Ares and Apollo have “threatened to block" confirmation of any reorganization plan that does not meet their requirements, and were using their “influence to deter proposals from strategic investors". Spokesmen for Access and Apollo declined to comment and a representative for Ares was not immediately available. The unsecured creditors also questioned the propriety of $440 million of “adequate protection" payments made to the company’s senior lenders since the company filed for bankruptcy in January. They argued the examiner should investigate why Lyondell is paying the money, which cannot be recovered. “We are progressing toward emergence from bankruptcy protection and we are doing so in a fair and independent manner," Lyondell spokesman David Harpole said in a statement. “We believe that assertions to the contrary are ill-founded and inconsistent with the interests of all stakeholders." The unsecured creditors have argued that the deal set the company up to fail and sued the banks and advisers responsible for putting the deal together. The court is expected to hear the creditors’ request on 12 January.